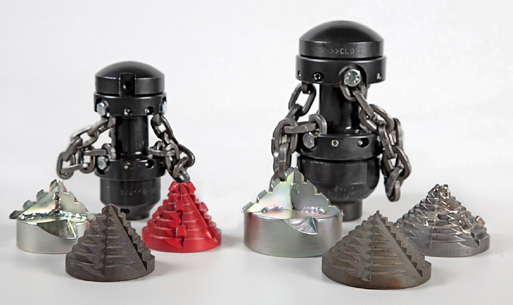 Chain rotating nozzle with interchangeable heads. To be used with pipe centralizer. Chains must be set in relation to pipe diameter. Replaceable ceramic inserts. For a better performance, clean the pipe with a Grenade nozzle before using chain nozzle. Root removal, scaling, rust, damaged inliners.